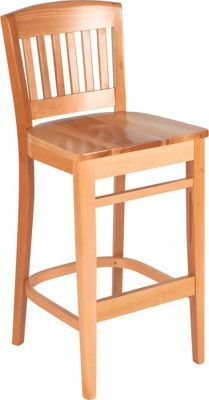 The Boston bar stool is very traditional and often used in busy commercial venues with a classic pub or bar theme. Available from stock for a quick lead time. Sturdy solid design wood high stools. Available in an attractive range of wood finishes, held in stock fopr a quick delivery.